As an avid reader of fantasy fiction (and someone who is no longer a student), I have a policy: for 20 minutes every day, I must read non-fiction. I try not to impose any rules beside that—as long as it’s non-fiction and I’m learning something, it fits the criteria. Six months ago, I chose Columbine by Dave Cullen at the recommendation of my coworker, who, as an ex-newsman, has a passion for well-written, well-researched nonfiction. It usually takes me less than a few days to start and finish a book, so spending six months on this one was an odd venture for me. Every day at lunch I would tuck it under my arm, take my chicken and broccoli downstairs, and read a chapter or two. It wasn’t a difficult read—at least, not in the sense of my reading ability. It was the most emotional read I’ve ever had, which made it so difficult to get through. I felt so dark and down on the world when I would read it. On April 20, 1999, two boys marched into the doors of Columbine High School and carried out the biggest school massacre of their time. They looked into the eyes of their peers and murdered them ruthlessly. The media portrayed it as a shooting by two boys who had been picked on in school—-the story was much, much different. 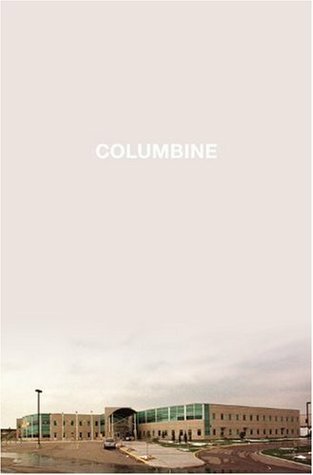 Columbine took Cullen ten years to write and research. It is extremely well-written, and offers an all-around look at the suspects, victims, survivors, families of those involved, the community, the media, and law enforcement. He pulls information from the journals, video diaries and websites of the suspects, Dylan and Eric. He pulls information from interviews with the families of the deceased and from the survivors. Media interviews, media stories, leaked photos, police reports, police interviews, witness accounts…it is an amazing read that paints—in vivid detail—what happened in the years leading up to April 20, 1999, and the aftermath. It is a chilling look into the mind of a psychopath. Both suspects display multiple characteristics of psychopathy, which are laid out in detail through their journal entries and criminal past. One trait of a psychopath is the ability to feign emotion and regret—to his parents and peers, Eric was a normal teenage boy who made mistakes and had run-ins with the law and alcohol. He feigned remorse, expressed a desire to be a better human. In his journal entries, he talks about his lies, and how badly he wanted to kill masses of people. I cannot sum up the emotions and horror I felt while reading this book. In a society where we toss around words like ‘psycho’ and ‘psychopath’ in jest, most people have no idea how complex and chilling the true meaning is. As an empathetic person, I had a very difficult time wrapping my head around how someone could view the world in such a way. I rated Columbine a 5/5 on Goodreads, and would highly recommend to anyone who is interested in the field of psychology or law enforcement. I’m definitely planning on picking a lighter book for my next non-fiction choice—this one was a little rough! Thanks very much, Lauren. I can understand why it was such an emotional read.